Well here we go with another of these mashup series. This time, we’re in a shared world where different authors are invited to conflate dark fantasy with Arthurian fiction with military fiction with alternate history with horror. In this, Abaddon Books has an interesting strategy by putting together a team of house writers who are commissioned to turn out new books in one or more of the series currently being run. 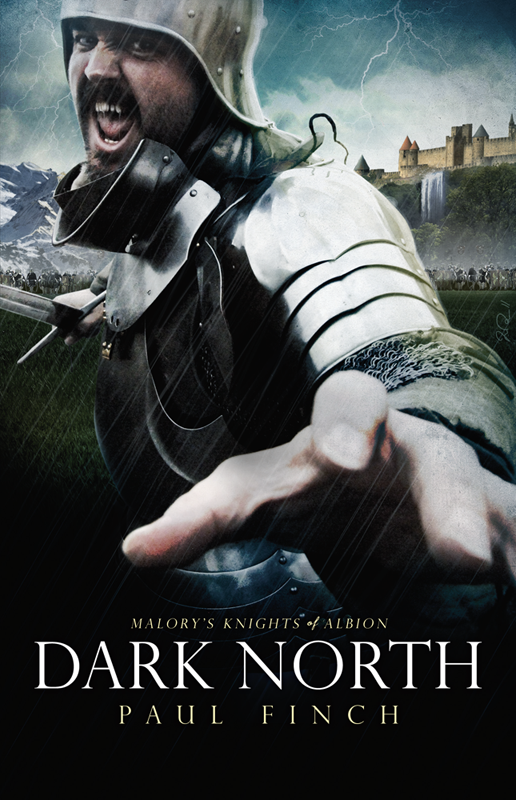 This time, we’re looking at Dark North by Paul Finch (Abaddon, 2012) the third in the Malory’s Knights of Albion series. 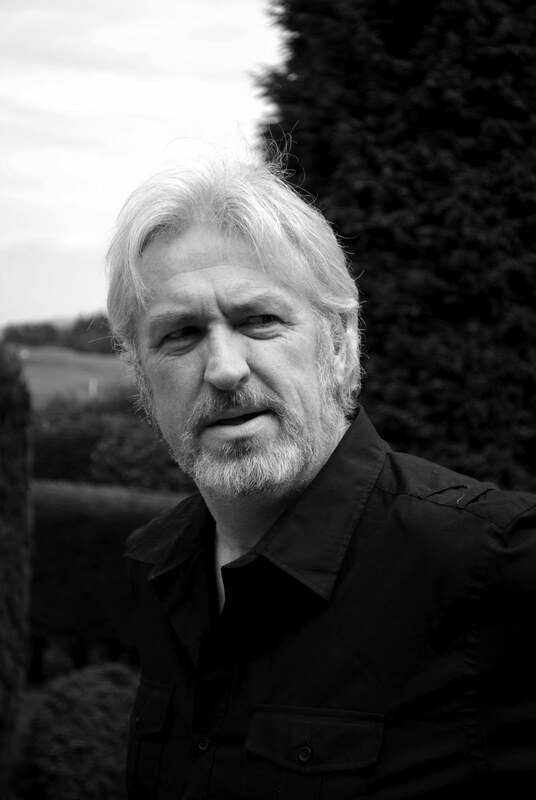 The first two are The Black Chalice by Steven Savile and The Savage Knight by Paul Lewis. This makes it slightly difficult to review since I’m not sure what happened in the earlier books. All I can do is deal with what I have. The preface announces that this series is supposedly based on a newly discovered work by Sir Thomas Malory, representing a continuation of the history described in Le Morte D’Arthur. While this book makes no effort at reproducing Malory’s style, it does borrow extensively from the catalogue of characters, placing them in a rather different situation. To that extent, the book avoids being mere pastiche. Although it allegedly draws on an original source, it’s retelling a new story in a consistent modern style for readers today. So what’s happening in this new timeline? As in the real world, the Roman Empire has broken into what we would call the Byzantine Empire in the east, and a rump of the old Empire in the West. However, Rome has not given up and is now rebuilding its control over Gaul and into the fringes of Germania where it has an on-going conflict with the Saxons. As a symbol of its progress to reunification, the Emperor decides Rome needs a symbolic victory. The best he can devise to send a message to all those wavering is to retake control of Britannia which is now firmly under the control of King Arthur in Camelot. In this, the Emperor is covertly being encouraged by the Pope. If the Emperor succeeds, he will likely consolidate the power of the Church. If he should lose, the Pope will assume responsibility for spreading the gospel across whatever borders come into place. Either way, the Church believes it will win. Thus encouraged, the Emperor musters legions in northern Gaul and sends a diplomatic mission to King Arthur as a final gesture to resolve matters without the need to start another war. Unfortunately, one of the Roman team has obviously read the Iliad and persuades the wife of Lord Lucan — the Black Wolf of the North — to run away with him (cf Paris taking Helen from King Menelaus). Or perhaps he’d just heard the Knights of Camelot like to go on quests and thoughtfully provided someone for Lord Lucan to look for. Having established a faintly credible casus belli and to start the ball rolling, the Romans have one of their vassal states invade Brittany which has a mutual defence pact with Camelot. As you would expect, King Arthur arrives from the wrong direction and more quickly than the Emperor is expecting. Nevertheless, the Emperor believes in the power of numerical superiority. It does not occur to him that he can lose. We then have a rerun of the Battle of Crécy with Arthur and his lot making the daft Romans run uphill through a narrow valley to get to them. With British archers and crossbowmen the best in Europe, the Roman cohorts never stand a chance in the initial advance. When the cavalry makes what’s intended to be a flanking attack in a confined area, the line breaks, exposing the inexperienced Emperor to a swift demise. So what we have in the first quarter is a sketchy political feint by Rome followed by a detailed description of a military campaign and major battle. Framing this is a fight with a mythological giant worm in the north of Britain and then a quest overlaid with supernatural threats to wrap things up. It’s this final third that sets the book alight. Although I can’t say I mind a good battle with lots of folks hacking at each other with swords of different lengths, you just can’t beat a really good quest. In this case, our initial team of Lord Lucan plus a party of thirty is slowly whittled down by a series of interesting nasties conjured up by a witch with predatory maternal instincts. At this point I should explain that, contrary to your natural expectations when picking up a work of Arthurian fiction, the Dark North referred to is not Gateshead or any other mouth into the British version of Hell, but a nice mountainside villa in North Italy where the tendency to drip the blood of virgins into a convenient pit produces quite dangerous incursions into our world from the “other side”. No matter what you might think of alternate history with battles thrown in, anyone with an interest in fantasy horror should read this book. The chase away from the battlefield and into the foothills of the Alps is a magnificently sustained piece of writing with a more satisfying human drama being played out as we approach the climactic confrontation. It addresses some very intriguing questions. In an arranged marriage where the wife has allowed lust to overcome her political duty to her husband, should the cuckolded husband be chasing her to bring her home or kill her for disloyalty? In a world where King Arthur insists on honour and integrity unless the only way to win is to fight dirty, why do knights and squires stay loyal to their lord? Can a son avoid following in his parent’s footsteps? If a prisoner gives his word not to escape, should he leave when given the chance? And finally, is everyone else expendable so long as you survive? Both in the conversations the relevant parties have and the way they act when under pressure, we get answers to these and other interesting questions. It’s a tour de force! I read Dark North as a stand-alone and would unhesitatingly recommend it to everyone.